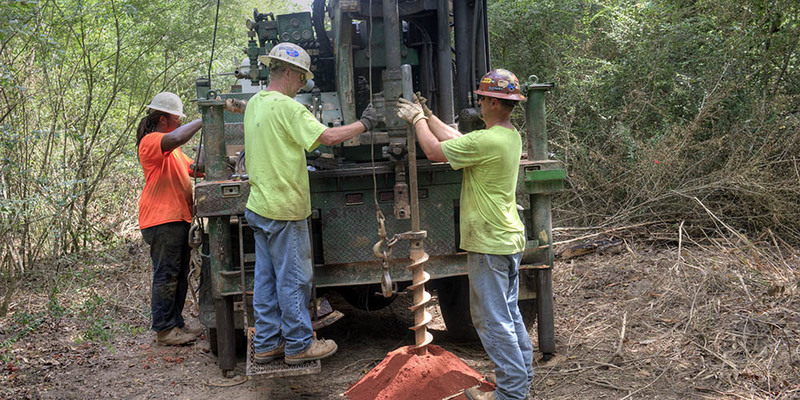 GEC is equipped to provide quality drilling services throughout the Southeast. GEC operates a truck-mounted CME-55 Drill Rig, a track-mounted CME-45 drill rig, and a skid-steer-mounted Geoprobe, which enables us to offer a wide range of drilling, sampling and monitoring services. Our drill crews meet the demands of our clients, which range from geotechnical and environmental engineers to architects, contractors, developers and municipalities. GEC utilizes both Hollow Stem Auger and Mud Rotary Drilling techniques to reach the required depth. Our drill crew personnel are 40-hour OSHA HazWOPER-trained, MSHA certified and are environmentally conscientious in their work. Call on GEC when you need professional drilling services.